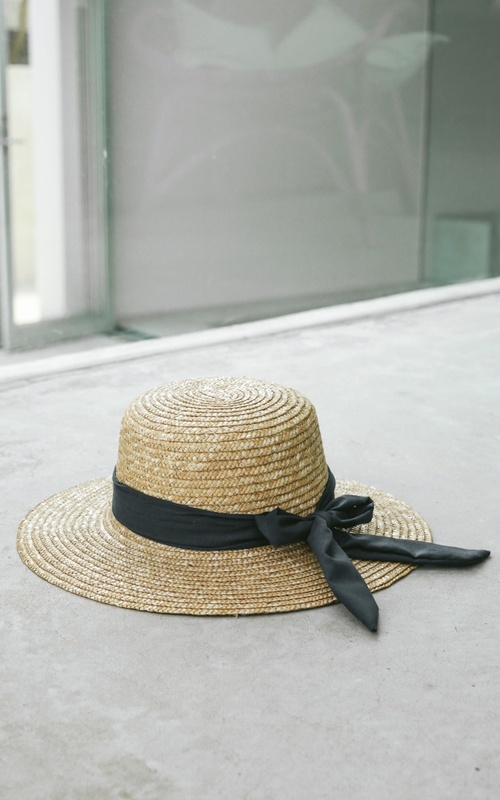 Our “Sail Away” hat is a must-have in your summer beach bag! Its cute navy bow detail keeps protecting you from the sun fun and flirty! Pair with your fave bikini or one piece and chill out by the pool! Super cute and I really like that it has a little adjuster inside the hat to help it fit better. The only thing I'm a bit disappointed in is that the ribbon is most definitely not black. It's navy! Not the end of the world, but they shouldn't advertise it as black when it's clearly navy!